Discussion in Hot Deals started by Beast_Titan • Nov 14, 2017. If you like snacks like Pocky, Peppero, Sakura flowers flavored Pepsi , Japanese flavored Kitkats and other Japanese exclusive snacks and candies, This deal is for you. Tokyotreat.com sells Japanese snacks to people around the world for a cheaper price and shipping. If you use the promo code BAETEEN you will get $ 3.00 discount from their products. If you are good at referrals, if you managed to make 3 people buy a box of food from them, You will get a free box of your own and 5 dollars! Everyone who will buy a box of Japanese treats from them will get a free Pocky! Here are some of the Japanese snacks they sell. This is a soda that is cherry blossom flavored. It smells like Cherry blossom flowers and it is pink in color. It is one of the best smelling sodas ever. 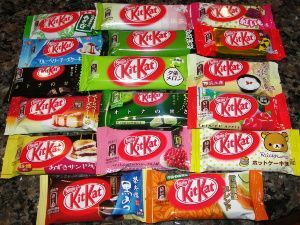 Japanese Kitkats, In Japan Kitkat had more flavors than the US. There is Blueberry flavor, Strawberry flavor, Red bean flavor, Apple flavor, Caramel flavor,Melon flavor,Purple Yam flavor, Pumpkin Pie flavor, green tea flavor,pancake flavor, cheesecake flavor and many more. It is like having a vacation in Japan without leaving your house. Thanks so much for the information. One thing I notice about products from Japan is that the sugar is very low. I love Meiji Chocolate candy bars with sugar of 2 or 4 g. It's fabulous!!! Being conscious of sugar numbers and always checking the labels for content and nutritional amounts I loved it when I found out that Meiji Chocolate candy bars that I found had very low sugar numbers. It's good to have a supplier that can send you your favorite foods! Thanks again!! Sakura means Cherry Blossom. 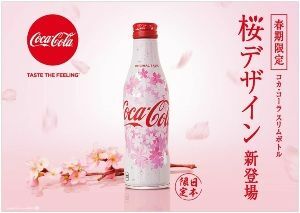 Pepsi also have their very own Sakura Soda. It is called Sakura Pepsi. It smelled so good and it is Pink in color. If you are good at getting referrals, They will give you a box for free and 5 dollars for every person you can convince to buy. If you are a Good sales person you can get these Japanese sweets for free and earn money too. This is good for I haven't tried ordering foods or products made in Japan. I hope this would be a legit online order shop which could serve prospective buyers around the world. It is a legit shop that has been around for years. I don't post scam promos. What is the bigest deal site of Japan? Uh! japanese snap, I am tented to taste it too.